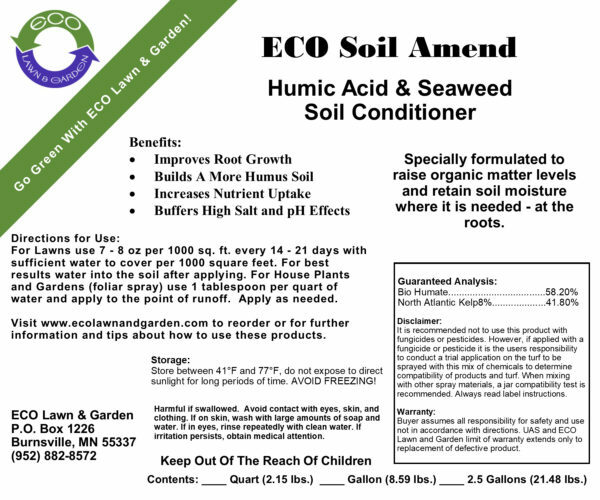 ECO Soil Amend Humic Acid and Seaweed was created to blend two products, Humic/Fulvic Acid and Seaweed together to achieve a liquid fertilizer that will loosen and create humus in soils and at the same time increases root growth and root depth. 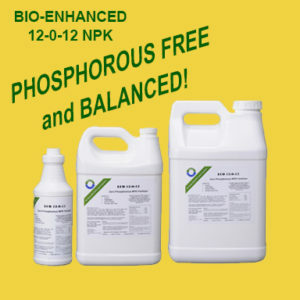 Safe and natural way to healthier plants! Convenient Ready To Use Size! 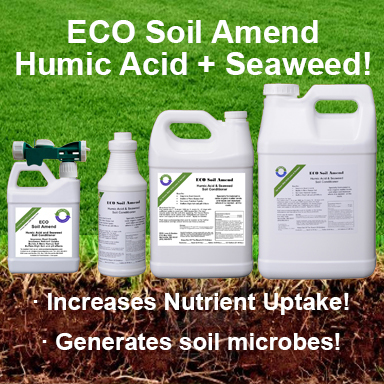 Humic/Fulvic Acid and Seaweed are two of the best soil amendment products in the world. 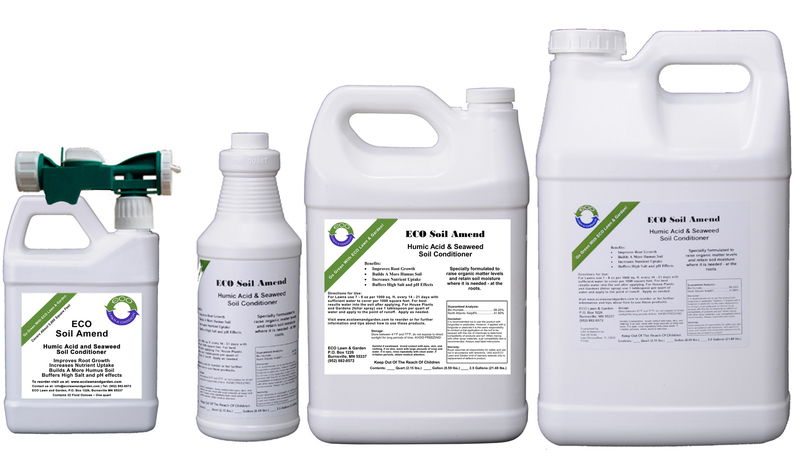 Soil Amend will also generate soil microbes for good soil structure and plant health and will also provide numerous plant trace nutrients and bio-stimulants. 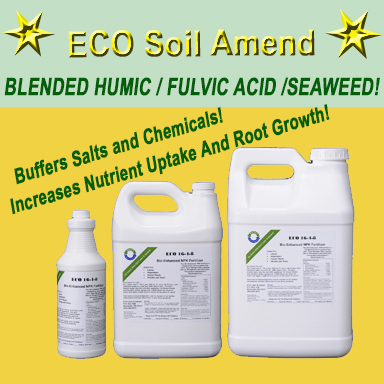 University studies show that the combination of Humic/Fulvic Acid and Seaweed does indeed increase root growth and subsequently plant growth. They create more moisture at the roots of the plant and will also reduce effects of harsh chemicals, high salts and high pH in soil. ECO Soil Amend Humic Acid and Seaweed is derived from the highest possible quality North Dakota humates and North Atlantic Seaweed. 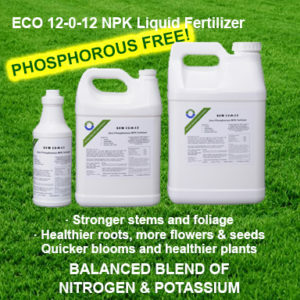 Eco Soil Amend should be used in conjunction with NPK fertilizers. Commercial purchase: RTU’s and quarts are available in cases of 12. Other case sizes ship palletized or products can be shipped bulk in 55 / 250 / 275 / 1000 / and 4500 gal. containers. Contact Us for pricing and availability. 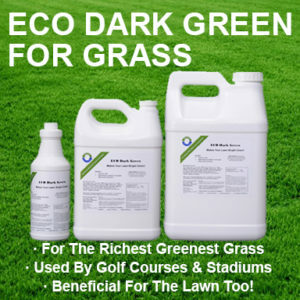 Popular product that is specially formulated to raise organic matter levels and retain soil moisture where it is needed – at the roots. Soil organic matter is a critical factor not only maintaining a healthy environment for the microbial activity necessary to feed root systems, but also maintaining an adequate supply of moisture around those root systems. It has a direct bearing on Cation Exchange Capacity, thereby influencing the ability of roots to take up nutrients from the soil. Derived from the highest possible quality dry humate and ascophylum nodosum ingredients, also contains Cytokinins, Indoles, Hormones, Auxins and Gibberellins. 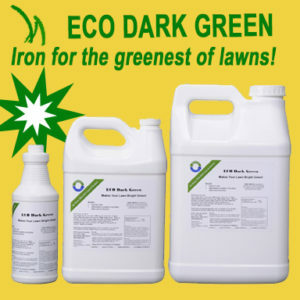 This HUMIC ACID/ASOPHYLUM NODOSUM CONCENTRATE Is a high energy carbon (Humus) form liquid. Humus has been referred to as ” The most important source of human wealth on this planet”. It is a virtual storehouse of not only micro-nutrients, but also, holds the essential macro-nutrients nitrogen, phosphate, and potassium. Cytokinins – are cell division factors, which rapidly divides cells, Indoles – are naturally occurring plant growth promoters for root development and bud initiation, Auxins – promote rooting and cell enlargement. 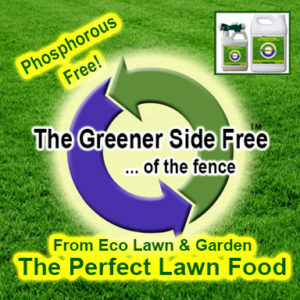 Warm and Cool Season Grasses: 3 – 10 ounces per 1,000 sq.ft. every 14 – 21 days. 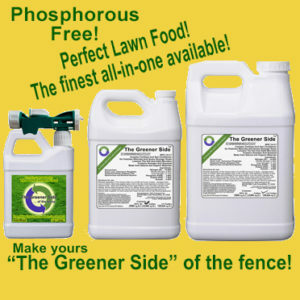 House Plants & Gardens: Foliar spray, 1 tablespoon per quart of water, mist leaves till run-off, as needed. Disclaimer: It is not recommended to use this product with fungicides and pesticides, it’s the users responsibility to conduct all trial tests. Appearance and Odor: Dark brown liquid, earthy odor. Storage: Store between 41°F and 77°F, do not expose to direct sunlight for long periods. AVOID FREEZING! Container Size: Ready-To-Use Quart; 1 qt. ; 1 gal. ; 2.5 gal. Caution: Keep out of reach of children. Harmful if swallowed. Avoid contact with eyes, skin and clothing. If on skin wash with soap and water. If in eyes, rinse repeatedly with water.